The FS5 has proven itself as a versatile tool for documentary, event and indie production filmmaking. The FS5 II offers several new features and refinements over the original FS5. First among these is a re-tuned color science leaning heavily upon the color science incorporated in the flagship Venice camera. Sony claims this will result in a more fresh and vivid look with softer tones and more accurate skin tone reproduction. 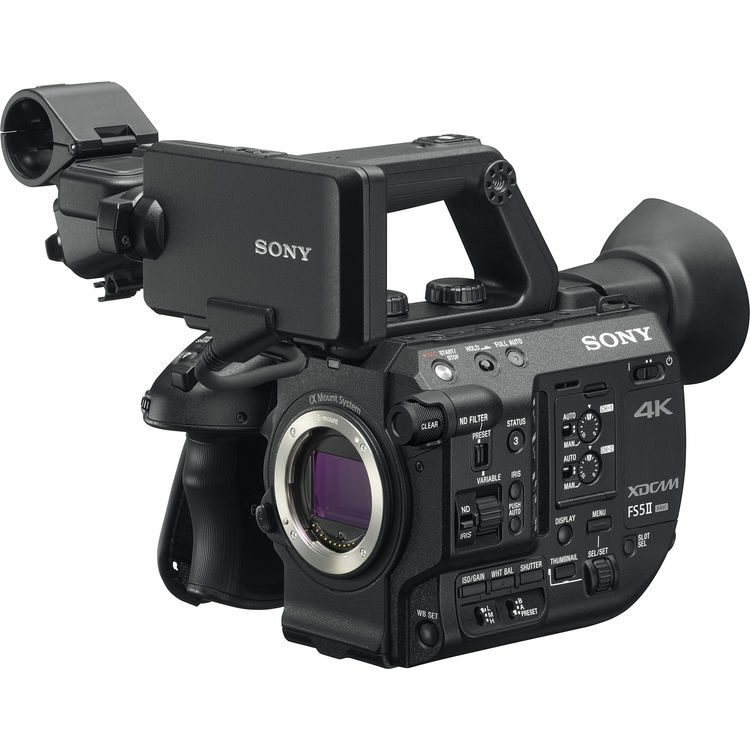 Sony today also announced two other video camcorders: PXW-Z190 and PXW-Z280. The z190 is a handheld camcorder built around 3 1/3” CMOS sensors designed for the event, production and particularly news markets. It has a fixed 25x optical zoom lens and incorporates face detection autofocus as well as face registration. These are features taken from recent Sony mirrorless cameras. The camera supports internal 4K recording up to 60p in 4:2:2 10bit as well as HD. Codecs include XAVC-L, MPEG HD, DVCAM, Proxy 1080i and MPEG2 HD422 (which requires a separate license). It can also record simultaneous 4K and HD proxy to two cards as well as having 3G-SDI output. HDR through HLG/BT.2020 is included. With the dual MI shoe, 4 channel audio recording is possible. Recording is to SD cards. It is capable of smartphone connectivity via Content Browser Mobile. ENG users will be pleased with its networking features including streaming and FTP with include WiFi module or optional cellular modem. It also has Ethernet connections. It further supports Sony XDCAM air for inclusion in the Sony ecosystem. SLog3 is also included. Pricing is to be announced with September, 2018 availability. The Z280 is based upon the same body as the Z190 but with 3 ½” Exmore R CMOS sensors. Built-in lens, however is a 17x optical zoom but with full manual control rings for zoom, iris and focus. Autofocus and wireless functions are the same as the Z190. It adds XAVC Intra to the lists of codecs and offers SxS as well as SD card recording. SDI output is at 12g rates. Both the Z190 and Z280 have Sony’s unique variable ND controls. What about A7s III?? When is it launching?